How has Property Crowdfunding Changed Over the Last 5 Years? What does Property Partner have Planned for 2019? What Will Buying a Property Look Like in 10 Years Time? Rob: In today’s question, we are going to be looking at fintech and proptech, two key terms that people tend to talk about, within the property space and the financial space, as well. How do they combine, Marshall? What does the future look like for both the property and the financial markets, combining with technology, to bring it all together? Marshall: I think that fintech and proptech are catch-all words for new ways of investing in property, in terms of proptech and in financial services, in the fintech world. Rob: They are massive industries in their own right but they do combine. Marshall: They are huge industries. Proptech, generally, would mean different ways of accessing the property market or transactions being undertaken in the property market. Protech, as a category, covers the buying and selling of property in a more fluent and technically easy way but it also covers the area of investing, either in debt based products i.e. property-backed lending or investing in the equity of a property, so, buying a share of an individual property or a portfolio of properties. And that, latter area, is where Property Partner has forged a leadership position. We are one of the leading proptch companies in property equity, which means that investors can actually buy shares in a property or a range of properties and get access to the financial benefits of owning your property without having to go to all the trouble of researching and finding their own property. And of course, the difficulty of spending very large sums of money to acquire individual properties. Rob: It makes sense with the emergence of the technology, that is available to allow that function to happen. Marshall: Yes, that’s right. Technology has made it possible, for the first time, for people to play in the property market, from their desktop, with an amount of money that can range from a few hundred pounds up to many hundreds of thousands of pounds. And the thing that technology has brought, is the ability to diversify, very easily, so, to buy small stakes in many properties. And the benefit of diversification is very large. It is, sometimes, lost on investors, that to invest in one or two or five properties, has considerable risk associated with it and in individual properties, things can go wrong, either in the due diligence of acquiring the property or in the tenanting of it or in the subsequent sale of it. Whereas, if you invest via the proptech industry, you can invest in a very wide range of properties and get the benefit of that diversification. 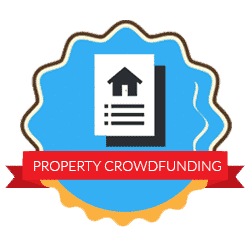 Rob: I appreciate, from a customer’s perspective, there is going to be a range of people that would consider crowdfunding and property crowdfunding. Are you seeing, with the emergence of fintech and the emergence of proptech, investors, who may not have been interested in property, previously, but really like the technology and would have considered financials, so, fintech, now considering proptech because it bridges that gap, to a certain extent, bringing it all together? Marshall: Well, absolutely. There are a huge number of individuals who have a desire to invest in property but the challenges just make it too difficult. The knowledge gap of where to look, how to find it, how to select it. So, the advantage of the poptech method is that you have experts doing that for you. You can benefit from their expertise and get access, as I said, a moment ago, to something that is suitable for any pocket. We are finding a lot of people interested in this sector and they range from the typical, technically savvy, younger generation, right through to retired professionals, who have a nest egg that they are looking to protect and build on. In fact, we see investors, in all walks of life, including professionals who are busy earning salaries but want to put a little bit of money aside for building pension money or wealth for the next generation. 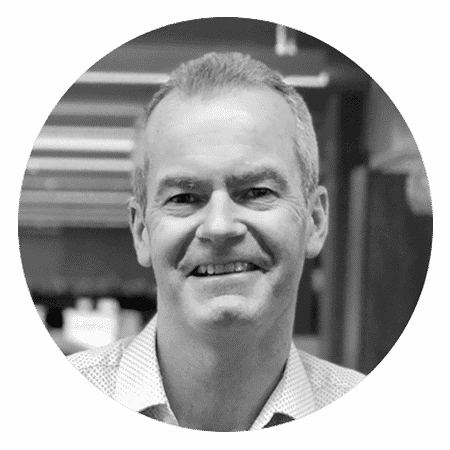 Rob: With crowdfunding, we have seen it across different industries, but it certainly seems a very interesting and exciting model, from an entry viewpoint because you are crowdfunding the funds but you are also crowdfunding the expertise, to an extent, as well. You are able to leverage that team and that knowledge and that experience, within the industry, who can bring those opportunities, to the table, for you to consider. Marshall: That’s absolutely right. I think, when selecting the proptech or crowdfunding company that you want to invest with, look very carefully at the skills of the individuals who are running it. Look into the experience and the background of the team. Are they experts? Look at what investments that company is making. As you say, you can really benefit a lot from that experience and in the case of Property Partner, we have a specific dedicated property team who have many years of expertise and we rely on them to scour the market for great deals. One of the benefits, also, from crowdfunding is, you are getting the benefit of the investment of the crowd and the benefits are, that you can buy in bulk, you can drive great deals. You get this professional approach and you get the experience of selection and professional management. You also get the benefit of diversification. And that, I think, makes it a very interesting proposition, from a property investment point of view, that is really difficult to do in any other way. Rob: It just brings a whole host of opportunities that you can not access, as a mainstream investor, on an individual level. Rob: That is excellent, thank you very much. Want to Find Out More About Property Crowdfunding? *Please note that on submission of your information you will be contacted by a company, partnered with Property Investments UK, to discuss the available options. You will also be added to the Property Investments UK mailing list and receive a weekly roundup of new articles and some, occasional promotions. You can opt out of this mailing list and out of all communications with our partner at any time.